Loan amount: Business loan rate in Allahabad Bank depends upon the loan amount you apply for. Higher the loan amount, lesser will be the interest rate. Bank gives loan of minimum Rs. 1 Lakh to upto Rs. 5 Cr. Interest rate for high loan amount can be lower resulting in lower EMIs. 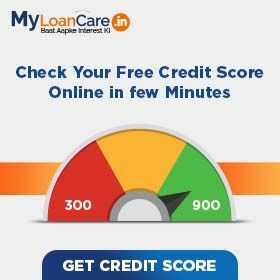 CIBIL Score: Allahabad Bank offers loan at higher interest rate if your CIBIL score is low or vice versa. However, to get loan from Allahabad Bank, your CIBIL score should be atleast 700. Higher the CIBIL Score, higher the chances of getting a loan at lowest business loan interest. Revenue: Allahabad Bank will offer you loan at lower interest rate if you have higher monthly revenue. Bank gives loan to the borrowers whose annual turnover is at least Rs. 0 . Time in Business: Allahabad Bank offers loan at lower rates if you have significant business experience. Minimum business existence to get loan from Allahabad Bank is 12 months. Age: Age plays an important role to know your eligibility and repayment capacity. Allahabad Bank offers loan to those who are at least 25 years old at the time of loan approval and maximum 65 years at the time of loan maturity. Loan Amount: Based on the loan amount eligibility, bank gives you loan ranging from Rs. 1 Lakh to Rs. 5 Cr. To improve chances of approval, apply for a loan amount that you can comfortably service. Profitability and Revenue: Loan eligibility significantly depends upon profitability on your turnover, revenue and profitability. Allahabad Bank requires profit for minimum 2 years and minimum business turnover of Rs. 0 .
Business Stability: Future business prospects and its stability is important to improve your eligibility for business loan. Allahabad Bank requires minimum business track record of 12 months. The bank will also look for minimum growth in sales for the last three year. A decline in sales for a certain period or below a certain limit might impact your eligibility to get loan. ITR and Banking: Bank gives loan only after checking your income tax return and bank statements. Your ITR details for minimum 12 months and bank statement for minimum 0 months will be required by Allahabad Bank. CIBIL Score: When checking loan eligibility, Allahabad Bank will look at the complete CIBIL report. Allahabad Bank will check your repayment history for all current and past loans and credit cards. Bank advise you to maintain a score of 750 and above to get loan approval. Interest Rate: Higher the interest rate, higher will be the EMI. For a 84 months loan from Allahabad Bank at an interest rate of 11.15% per annum, EMI will be Rs. 1,720 per Rs. one lakh loan amount. At an interest rate of 15.60% for the same loan, the EMI will be Rs. 1,963 . Loan tenure: Longer the loan tenure, lesser your smonthly EMI. At interest rate of 11.15% per annum, the EMI on Allahabad Bank business loan would range from Rs. 8,845 to Rs. 1,720 for loan tenure ranging from 12 to 84 months. Amount Borrowed: Allahabad Bank Loan EMI will be high if you apply for a high loan amount. For amount borrowed Rs. 1 Lakh, the EMI at 11.15% for 84 months would be Rs. 1,720 . Similarly for amount borrowed Rs. 5 Cr, the EMI at 11.15% for 84 months would be Rs. 8.60 Lakh. Why to take business loan from Allahabad Bank ? Bank offers loan at 11.15% rate with the lowest EMI of Rs. 1,720 per lakh. If you are paying EMI more than this then you can opt for balance transfer and relocate your loan to Allahabad Bank. What is the interest charged on Allahabad Bank business loan? Interest rates on Business loan in Allahabad Bank are very attractive starting from 11.15% to 15.60%. Bank offer various offer for self employed professionals to get loan at very low rate of interest. What is the lowest EMI per lakh on business loan from Allahabad Bank ? If you apply for loan from Allahabad Bank, your lowest EMI per lakh will be Rs. 1,720 . What is the minimum and maximum tenure of business loan in Allahabad Bank? These loans are shorter tenure loans. You can repay your loan in a flexible period of minimum 12 months to maximum 84 months. 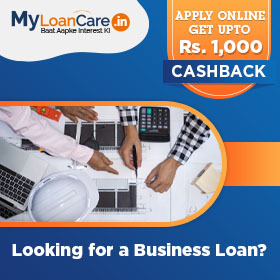 How much business loan amount I can borrow from Allahabad Bank? Allahabad Bank offers you loan if you need a minimum amount of Rs. 1 Lakh to a maximum amount of 5 Cr. What is the processing fee charged by Allahabad Bank on business loan? Allahabad Bank charges a processing fee of Rs. 229 - per lac, Min Rs. 2,038 Max Rs. 22,928 with applicable tax. Is age an eligibility factor to get loan for business from Allahabad Bank ? What are the prepayment charges on business loan from Allahabad Bank? Bank charges a fee in case you want to repay your entire loan amount before the end of tenure period. The fee charged by Allahabad Bank is 2.25% . Allahabad Bank has been restricted from granting loans and raising high-cost deposits by the RBI. The bank cannot expand its loans, nor make any fresh capital investments. Allahabad Bank had reported net loss of around Rs 3,510 crore for the March quarter due to more than three-time rise in its provisions for bad loans. Allahabad Bank has sanctioned Rs 1,003 crore in loans to 8289 MSME beneficiaries, which included beneficiaries under Pradhan Mantri Mudra Yojana (MUDRA) and under Stand-up India Scheme. Further, competitive rate of interest for MSME and retail loans have been offered by bank. Allahabad Bank posted net loss of Rs 1,263.79 crore for the third quarter of 2017 due to higher provisions and lower other income. Profits of the same quarter last year were at Rs 75.26 crore. Net interest income grew by 13.83 percent to Rs 1,346.91 crore.